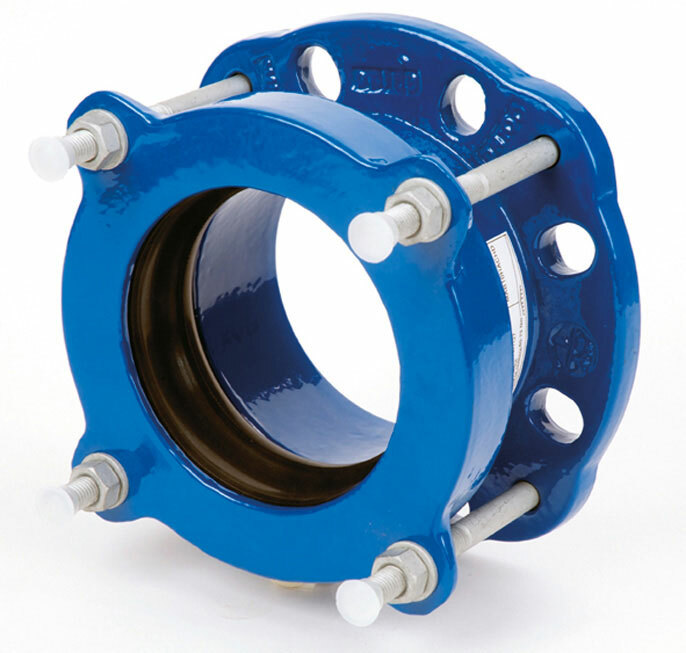 UltraQuick, a flange adapter with a very broad tolerance for use with a variety of materials. The UltraQuick adapter can be fitted to a grey cast iron, ductile cast iron and fibre cement pipes, and also to steel or PVC tubes. 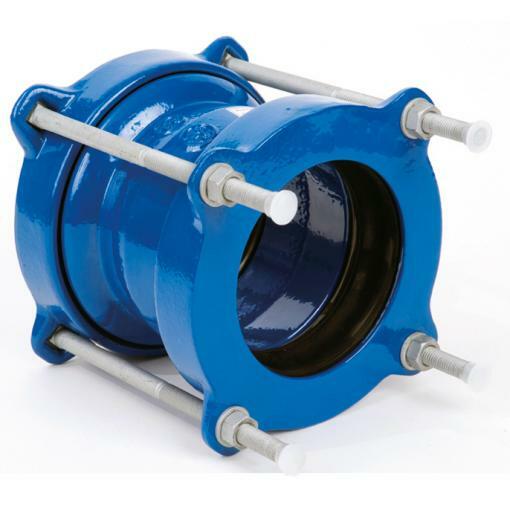 This range of adapters is available for continuous lengths of pipe with exterior diameters between DE 49 mm and 348 mm, and a PFA of 16 bar. 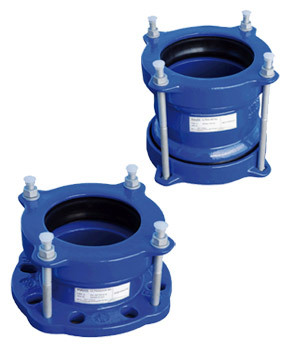 The angular deflection is substantial at approximately 6°.Multi-pitch circle flange PN 10 and 16. Flange dimensions and bolt pitch circle are set in European and International Standards, to permit assembly of all types of flanged products. FlexLock system provides a self-anchoring method of joining ductile iron or steel pipes.